Many smaller Thai towns try to set themselves apart. Some promote delicious regional dishes, some advertise local sights of interest and beauty. Others, however, opt for elaborately decorated street signs. The town of Thong Pha Phum, for example, has tiny carved crabs sitting above every street name. 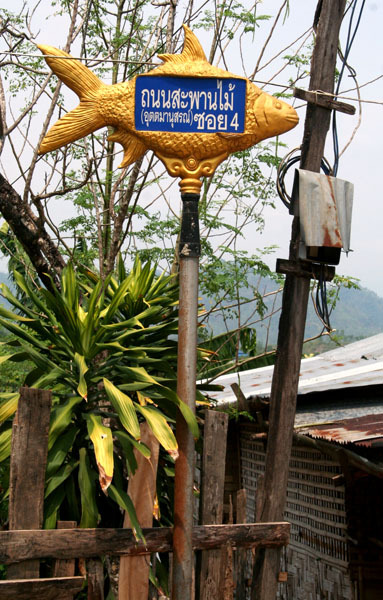 Some of the best street signs are in the town of Sangkhlaburi, which displays its addresses on the sides of smiling golden fish.